Using attention-grabbing adjectives in news headlines to describe life-changing events has been the preserve of news offices around the world for years. Over the course of the past few weeks, news reports have delivered the devastating consequences of fires in South Africa, monsoon flooding in India, Nepal and Bangladesh, earthquakes in Mexico and hurricanes in the Caribbean and US. The words ‘battered’, ‘crushed’, and ‘destroyed’, littered across headlines, applied equally to the environment and the bottom line of insurance companies. If one goes back in history, you’ll notice that 2017 is hardly the exception. As the truth about global climate change and poor risk management and planning come to the fore, general insurers across the world are contending with the impact of these events on their profitability. 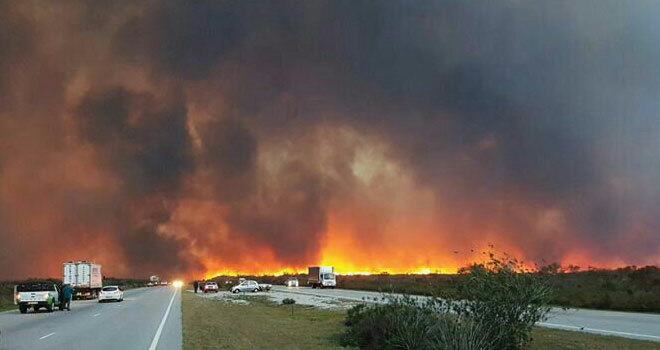 Described as the most devastating catastrophe event in the local insurance industry, the twin events of a large storm in the Cape followed by fires in Knysna in June hit South African insurers hard. Most large listed South African insurers reported that their earnings had taken a knock in the six months to June and industry analysts estimated overall losses caused by these events could cost the insurance industry in excess of R3 billion to R4 billion. In August and early September, parts of the United States and nearby Caribbean islands were locked in battle with mother-nature as two hurricanes (Harvey and Irma) destroyed homes and businesses completely. In what was described as the “most economically significant natural catastrophe in American history”, the storms battered nearly every single island and town in its path with the Financial Times reporting that its occurrence had more than likely hurt the outlook for earnings in the insurance industry. News reports confirm that “supercat” Hurricane Irma is set to be a material loss for both the insurance and reinsurance industry, while the impact of Hurricane Harvey will have further implications. When it comes to catastrophes, reinsurers matter, largely because they are “the back-up” that help out when catastrophes hit. It is said that reinsurance programmes have become instrumental, particularly in a world that has started to face multiple events almost simultaneously. For now, insurance analysts venture that Hurricane Harvey may likely only affect reinsurers with exposure to certain risks. According to Reuters, Mexican insurers are unlikely to see significant impacts from the earthquake earlier this month, given the low insurance penetration in the affected areas and reinsurance programmes. Reports are still streaming in about the latest earthquake that claimed the lives of more than 200 people. Similarly, the majority of individuals (and businesses) affected by the monsoon flooding in South Asia did not have insurance. However, global reinsurer Munich Re reports that the world will continue to see an increase in water-related disasters in years to come. In the case of most developing countries like Mexico and some countries in South Asia, large catastrophe events can trigger devastating blows to their GDP.